Data Recovery 47 is a foremost data retrieval service with over three decades of experience in the technology management field. DR47 was founded with the express intent of providing a streamlined data recovery service, with professionals who will competently and efficiently handle every case of lost information, from the smallest to the most comprehensive. The DR team is comprised of leading industry advisors whose extensive knowledge of the ins and outs of both hardware and software allows them to quickly diagnose issues and resolve the problem proficiently and reliably. When the Data Recovery team first receives your device, a diagnostic test is run to pinpoint the exact source of the issue and definitively determine the extent of the damage, both internally and externally. Your device is handled with top quality care and concern throughout every step of the process. By beginning our examination with this diagnostic test, our experts ensure that your device is not subjected to any unnecessary treatment or prodding. Your device is delicate and our experts understand that it is to the detriment of your item to undergo more procedural operations than are absolutely necessary. Quality control and attention to detail are hallmarks of a DR47 retrieval. Each retrieval is conducted within the confines of our certified, ISO Class 5 Cleanroom to ensure top safety and protection of your device. Our Cleanroom is thoroughly inspected before each recovery service to ensure impeccable care is given to each device and to restore every aspect of functionality. By containing every procedure to our impeccably pristine, dust- and contaminant-free clean environment, our team ensures that your device stays safe and secure throughout the entire retrieval process. Our state-of-the-art technology allows our experts to maximize their skills and approach each situation with the leading tools in the industry. Additionally, our warm and pleasant staff excels at understanding the specific needs of every client. Prompt response time, dependable service and a full money-back guarantee ensure that every interaction with a DR agent will be a positive encounter. It is our goal to grant you a successful retrieval process, conducted in an efficient and stress-free manner. With Data Recovery 47, we believe that your data is our top priority. 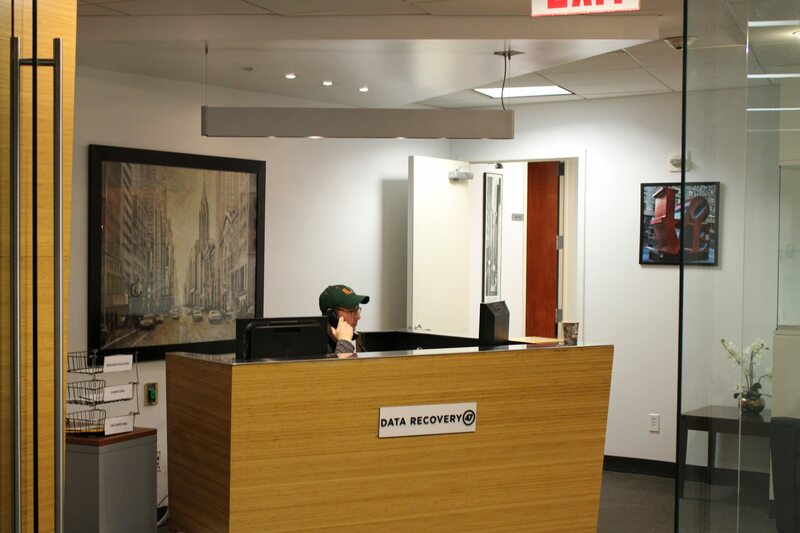 Call us any time of the day or night to see how DR47 can restore your data and return peace of mind to your life.